When you control no Islands, sacrifice Seasinger. You may choose not to untap Seasinger during your untap step. 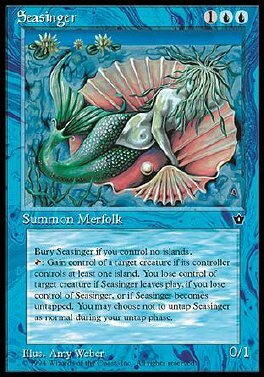 T Gain control of target creature whose controller controls an Island as long as you control Seasinger and as long as Seasinger remains tapped.